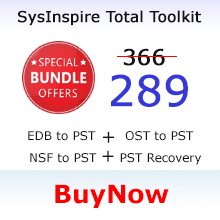 Recover IBM Notes Database NSF file with SysInspire Export Lotus Notes Database to Outlook Converter and fix Notes database corruptions in order to export Notes to Outlook PST, EML, EMLX, MSG, HTML, vCard, CSV, MBOX and ICS files without disturbing NSF file data. 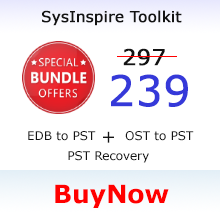 Download freeware Lotus Notes Database Export Software from SysInspire Official Website and install on your computer. 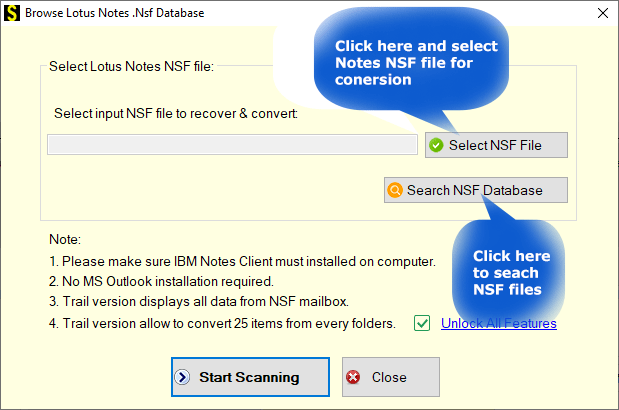 Select Lotus Notes NSF file by clicking on "Browse" button. 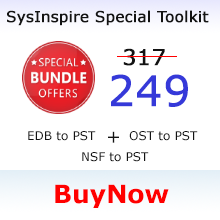 Click on left panel of software and expand all recovered NSF folders and sub-folders. For email preview click on folders from left panel and see the preview of email messages on right panel of software. 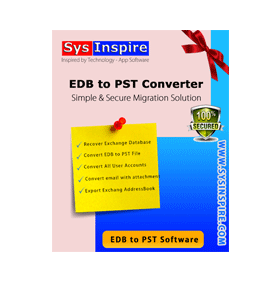 EML file - Export individual NSF messages to EML files. 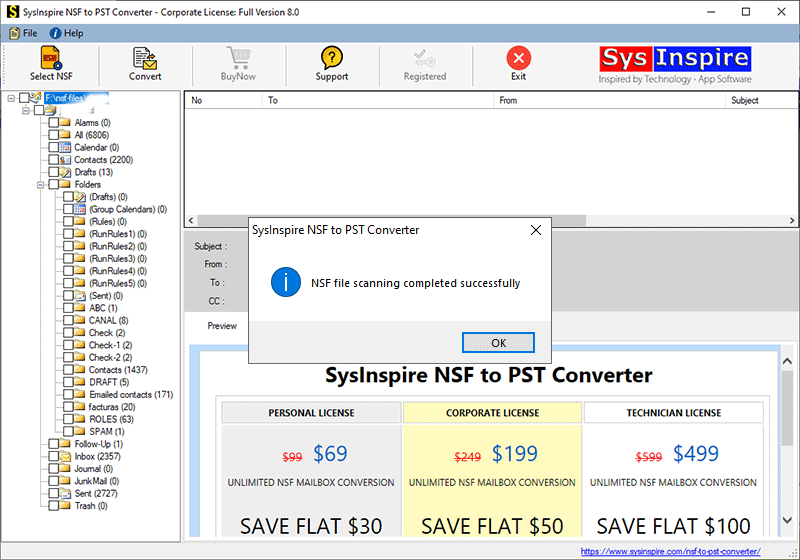 MSG file - Export individual NSF messages to MSG files. EMLX file - Export individual NSF messages to EMLX files. 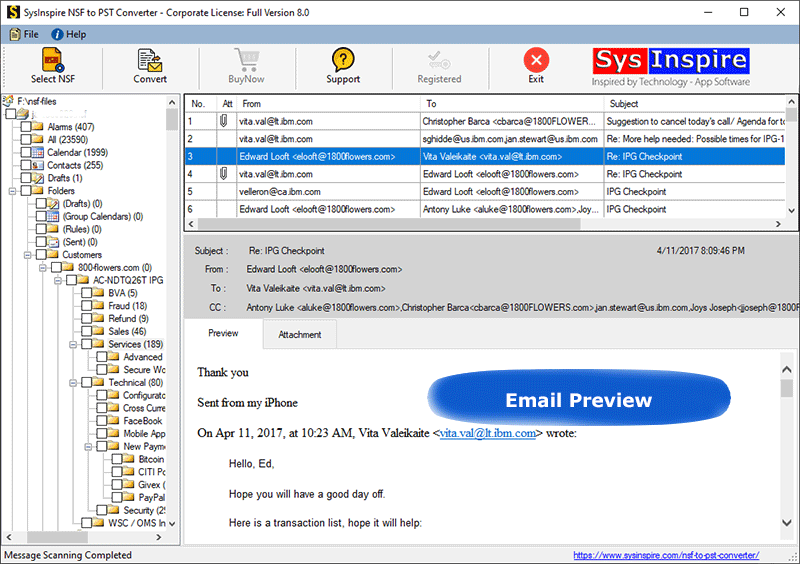 VCF (vCard) file - Export Lotus Notes Contacts to vCard (*.vcf) file. 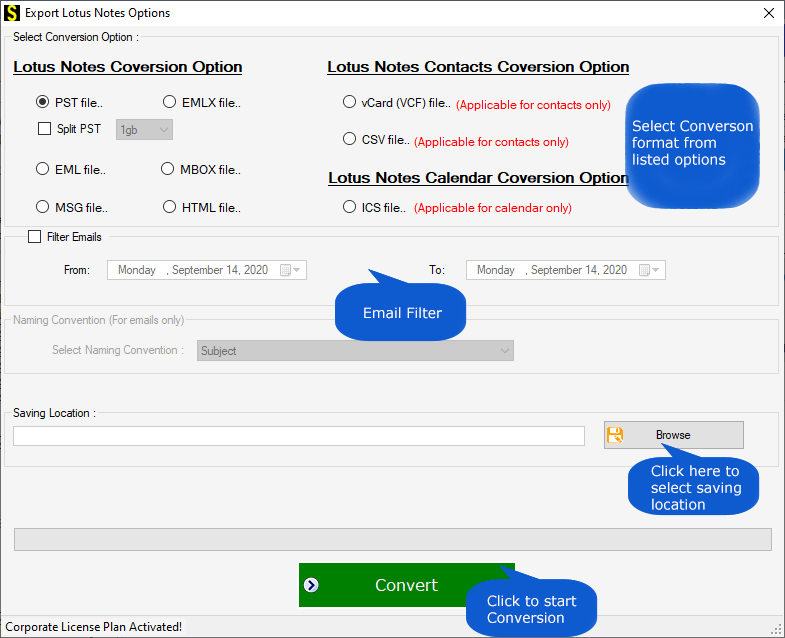 CSV (Excel) file - Export Lotus Notes Contacts to Excel CSV file. ICS file - Export Lotus Notes Calender/ Appointments to ICS file. 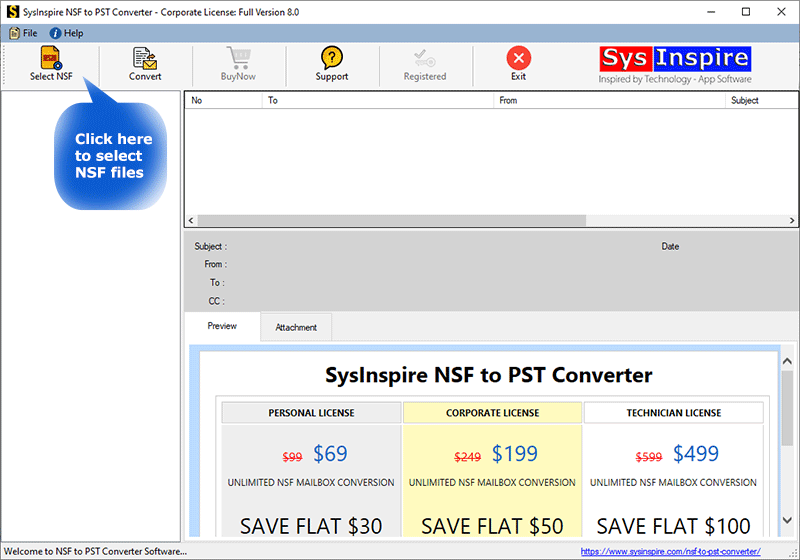 Select your need conversion option and also select the File Saving Location Path and export lotus notes database NSF file.